"A court of the United States shall have power to punish by fine or imprisonment, at its discretion, such contempt of its authority, and none other, as . . . (3) Disobedience or resistance to its lawful writ, process, order, rule, decree, or command." The court's authority extends to jurors who disobey a court's order. In one case in which a juror was found to have disobeyed a court order, the juror was sentenced to probation but ordered to pay the costs of prosecution as restitution (not a fine, the court can't order both.) See, United States v. Hand, 863 F.2d 1100, 1103 (3d Cir. 1988)holding that the United States Attorney's office was entitled to restitution for time and resources wasted in light of the defendant's impermissible conduct as a juror at trial. I can't even begin to guess how many millions of dollars the El Chapo juror could be ordered to pay. Criminal contempt differs from civil contempt because it is a punitive sanction, designed to vindicate the dignity and authority of the court by punishing past acts of disobedience. When charged as a federal crime,it has to be proved beyond a reasonable doubt. It seems like that wouldn't be too hard in this case, if as VICE reports, the interview was conducted via video on Skype and video of the juror's admissions of willfully violating the court's orders was preserved. Interestingly, since the criminal contempt statute does not provide a specific term of imprisonment and Congress never assigned a letter grade to the crime of contempt, which effectively renders it a "Class A" felony, the maximum term could be life in prison, so long as the person charged with contempt gets a jury trial. (While some circuits have labeled such a finding absurd, in the Second Circuit, where the El Chapo trial took place, courts have found otherwise. See, United States v. Ware, 2009 U.S. Dist. LEXIS 5627 (S.D.N.Y. Jan. 26, 2009). In any contempt proceeding in which the person is not given a jury trial, the maximum sentence is 6 months. Because misconduct constituting contempt varies significantly and the nature of the contemptuous conduct, the circumstances under which the contempt was committed, the effect the misconduct had on the administration of justice, and the need to vindicate the authority of the court are highly context-dependent, the Commission has not provided a specific guideline for this offense. In certain cases, the offense conduct will be sufficiently analogous to § 2J1.2 (Obstruction of Justice) for that guideline to apply. 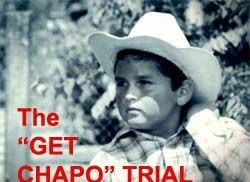 The scope of the juror's claimed misconduct which s/he alleges was joined in by at least 7 other jurors and alternates is pretty breath-taking, particularly the admission they lied directly to the judge when asked if they had read coverage of incriminating information about El Chapo the Court had ruled inadmissible. Asked why they didn’t fess up to the judge when asked about being exposed to media coverage, the juror said they were worried about the repercussions. The punishment likely would have been a dismissal from the jury, but they feared something more serious. This makes little sense:The weekend before deliberations begin, the juror is concerned about getting held in contempt for accessing external information and doesn't want to "rat out" other jurors, but the day after the verdict, s/he calls VICE and confesses not only his/her own contemptuous conduct but that of his/her fellow jurors? It's not a slam dunk that the Court will take any action. For example, when it is alleged that external materials were brought into deliberations, that gets a hearing. But if it's just a question of jurors making statements after the trial about what jurors said to each other during deliberations, courts often say they can't question jurors about what happened during deliberations because the deliberation process has to be respected (and Federal Rule of Evidence 606 (b) prohibits asking jurors about conversations during deliberations except in limited circumstances). [c] a mistake was made in entering the verdict on the verdict form. For a juror misconduct claim to be successful, the defense usually has to establish prejudice. So far, the talkative juror hasn't claimed any of the jury's misconduct impacted their verdict. But given that the juror is not just alleging premature deliberations (voicing of guilt to other jurors while the trial was still going on) but that many jurors reviewed media reports during the trial, including reports about matters the Court ruled too prejudicial or unreliable to be admissible (amounting to improper external influences), unless the Court concludes the whole juror report is a scam, I think the Court will have to order some kind of inquiry of the individual jurors. I'm puzzled by why this juror is blabbing and flaunting his/her and supposedly other jurors' intentional violations of the court's orders -- especially lying directly to the court. Is he or she just a stealth juror, using VICE as a means to get noticed by publishers and offered a book deal? Since the jurors are anonymous, maybe publishers wouldn't know who they are or how to approach them without them coming forward. But no juror could be stupid enough to think their identity would remain secret after telling these kind of stories. Could the juror have been bribed to make up these allegations by someone who had illegally accessed the juror list and wants the verdict undone? This isn't unheard of. It happened in the early 90's when Miami Cocaine Cowboys Willy Falcon and Sal Magluta were initially acquitted. Three jurors, including the jury foreman, were later convicted of taking bribes (before the verdict). The foreman got 17 years and the two other jurors got 5 years. Even the foreman's parents were charged since they got some of the money. Magluta is serving a 195 year sentence at Supermax, and Willy, who finally pleaded guilty in exchange for a 20 year sentence, finished the sentence a few years ago and was put into ICE custody. He was deported to the Dominican Republic this past November, even though he's Cuban and had no ties there. The Dominicans complained and their government put out this story about it being temporary and then in December he was taken somewhere else, but it's not known where. Or maybe the El Chapo juror was bribed in the form of a threat to the juror's family, rather than or in addition to promises of money? Keegan Hamilton, the Vice reporter who interviewed the juror and attended almost every day of the trial, confirms the person in his video interview is one of the jurors he saw in court during the trial. Still, there's something funky about this juror interview, I just haven't figured out what. And wondered some of the things you discuss. Like surely this is not ok. How could they think they could do it. in a high-profile case of mine. We moved for a new trial, which I thought we might get. The prosecutors and the judge found a way to deny a new trial, and the denial was upheld on appeal. (The tweeting juror was not punished at all.) So, clearly it's a problem for the govt, but not necessarily an insurmountable one. a couple of times. Once it was for a RICO case (which did not really seem that big to me; it involved fraud in jewelry sales to multiple people) but it was for almost a week. Truth be told none of the jurors really interacted that much; we just went home at night and lived our normal lives. The other time it was only for a day and three cases. Again not much interaction other than legit stuff. I find it hard to understand how jurors would discuss with each other how they were violating protocol and breaking the law. My best guess is someone got to one juror and paid them to blab to VICE so doubt would be cast on the process. I wonder how the investigation would go. My understanding is all the jurors understand the possibility of harm from el Chapo's minions if their ID was known; so they all have incentives to fly under the radar. Maybe an alternate who could claim he would have let el Chapo off would be safe; but he would also be exposed to criminal charges. I would also bet if the jurors were polled they would all say nothing happened and they would still vote to convict which would result in what Peter described. .. and while the teenage shoplifter wasn't exactly El Chapo, the courthouse I went to had one Mexican restaurant w/i walking distance and everyone ate there. One fella really wanted to talk about the case. It didn't matter and I am really not one to abide by the rules, but in this case I had to ask him to not talk about it. My point is I can see how this happens fairly easily, you are stuck with a bunch of people you don't know and the only thing you have in common is the jury, it only natural to want to discuss that. I don't believe the jurors would be so cavalier if someone had gotten to them. Quite the opposite. In my opinion, El Chappo is not getting a new trial, he never had a chance at being found not guilty, this was for all practical purposes, a show trial so he could be locked in a cell in which he could not purchase an escape. Rest assured that I was not on the jury in question, but nobody who has seen my comments over the years in this forum should be surprised that I think that justice would be better served if behavior like they exhibited should be encouraged, not prohibited. If you are going to have lay people decide cases at all, they should be completely engaged, doing extra research if they want and discussing (even arguing) the evidence (either from inside or outside the courtroom) among themselves and with the witnesses and lawyers. Imagine a professor forbidding students to discuss the course with each other or ask questions and make comments in class or appellate judges being forbidden to question the lawyers in front of them. So what is so different about a jury? Some people have said to me that juries are usually too dumb to give them such freedom. Then why trust them at all to evaluate the evidence and give a just verdict? One of the reasons I believe juries reached correct, but unpopular, verdicts in some high profile cases was they weren't paying attention to biased media coverage. I wouldn't want that kind of research. discussing (even arguing) the evidence (either from inside or outside the courtroom) among themselves and with the witnesses and lawyers. in a criminal case and have not waived your right to a jury trial. Would you prefer all the jurors are restricted to considering only evidence admitted by the court. Or would you prefer each juror, in addition to admissible evidence may also consider anything they have heard/ read/seen? If a juror gets wind of some evidence they heard out of court she should bring it up in court so it can be addressed and I am sure that if allowed she will. I think that what the lawyers succeed in suppressing is a source of incorrect verdicts. system of criminal justice, RickyJim, which has developed over the last 800 years, with additional profound changes occurring 350, 225, 100, and 50 years ago, is mind-boggling. The dangers for miscarriage of justice implicit in the ideas you agree are extreme. I highly recommend some reading and maybe an adult-ed legal history and/or constitutional law course. I went through both, cover to cover. Neither discussed the issues I brought up. One, I long have had on my to read list is "Origins of the Adversary Criminal Trial" by John H Langbein. Would that set me straight? A book that I read many years ago that certainly influenced my views is "Trials Without Truth" by William T Pizzi.